(2000FU) 30VC contains 2,000 fibrinolytic units, which refers to the enzyme activity level. Enzymes, like Nattokinase, are not measured in mg, but in an unassociated measure of units. Even if the enzyme had 1,000mg per capsule but no activity, the enzyme would be worthless. has 2,000FU (units) of activity. 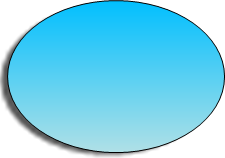 This is a very high amount of activity. Other Ingredients: Modified cellulose (vegetarian capsule) maltodextrin, magnesium stearate (vegetable source). Contains Soy. enzyme with Vitamin K2 removed. Nattokinase lowers plasma levels of proteins that affect blood flow. These actions of Nattokinase are similar to an endogenously produced enzyme, plasmin. Plasmin, present in blood, degrades many plasma proteins, including fibrin clots. The net effect of lowering these proteins is a modulation in overall circulation and blood flow. These effects have been demonstrated during randomized, double-blind, placebo-controlled studies. 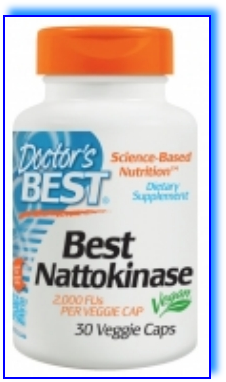 Why should I take Doctor’s Best Nattokinase?